The 2017 School Supply Distribution application is now available. You can download the application by clicking here and return it by mail. The 2017 School Supply Distribution application is now available. You can download the application and return it by mail. 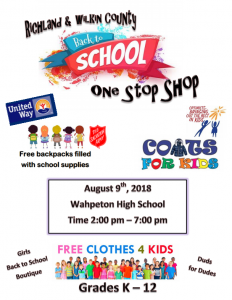 Visit the Wahpeton Daily News to read Frank Stanko’s article on our work with the Food Pantry to cultivate a growing network of giving in the Twin Towns. As a new year begins, citizens like Colette Barton, executive director of the Richland-Wilkin United Way, and Lois Fenske, coordinator of the Richland-Wilkin Food Pantry, hope to engage the Twin Towns community while cultivating a growing network of giving that has empowered those who need it. 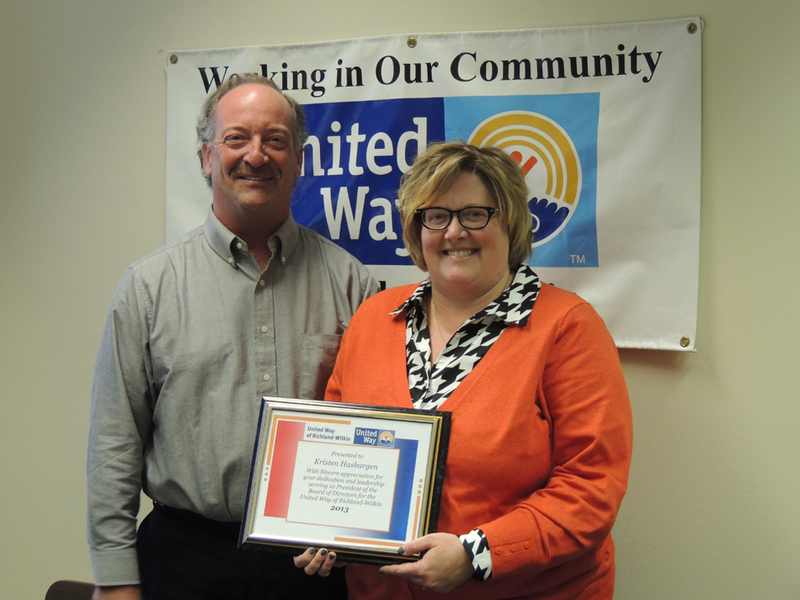 United Way recently received a $10,000 one-time grant from West Central Initiative, Fergus Falls, Minnesota. 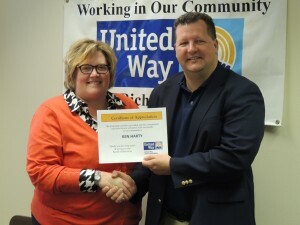 According to Barton, the money gave United Way an opportunity to invest in a journey. Click here to continue reading this article! 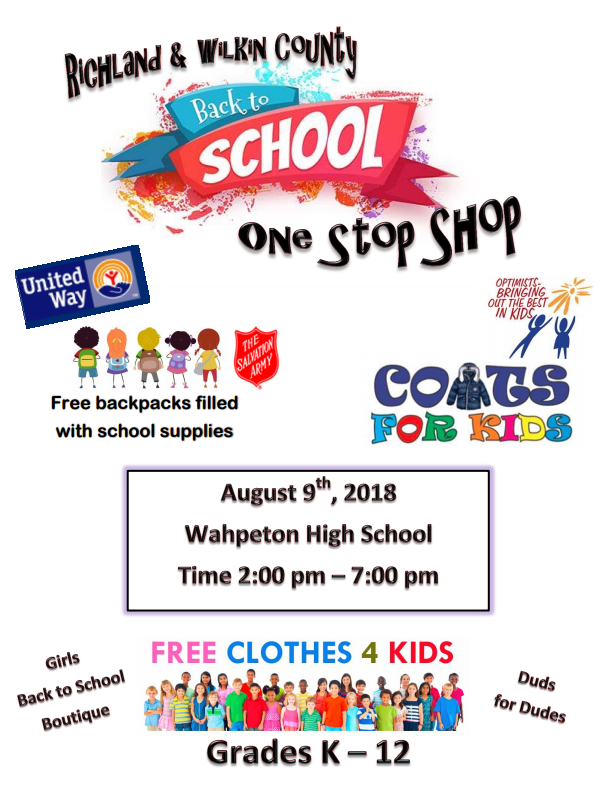 Day of Caring Applications Available! The 2015 Day of Caring Volunteer Application forms are now available. Click here to access them and scroll down towards the bottom of the page. At our recent annual meeting, certificates of appreciation were given to our outgoing President Kristen Hasbargen and outgoing Directors Kris Bernard and Ken Harty. We also welcomed incoming President Brad Pauly. These are the often behind-the-scenes people who make UWRW such a force for good in our community! Kristen Hasbargen presents outgoing Director Ken Harty with a certificate of appreciation. 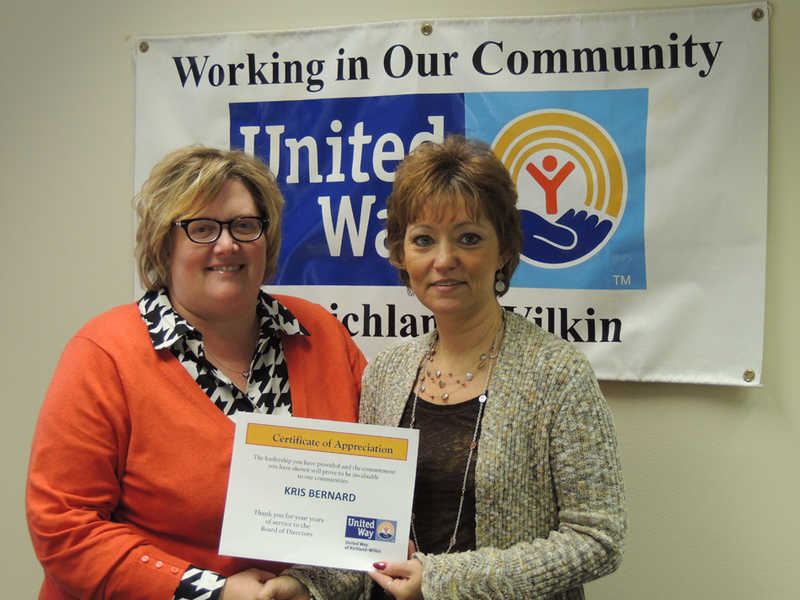 Kristen Hasbargen presents outgoing Director Kris Bernard with a certificate of appreciation. Incoming President Brad Pauly presents Outgoing President Kristen Hasbargen with a certificate of appreciation. Applications for Day of Caring are now available! Head to our Programs page and scroll down to the info about Day of Caring to get the applications.